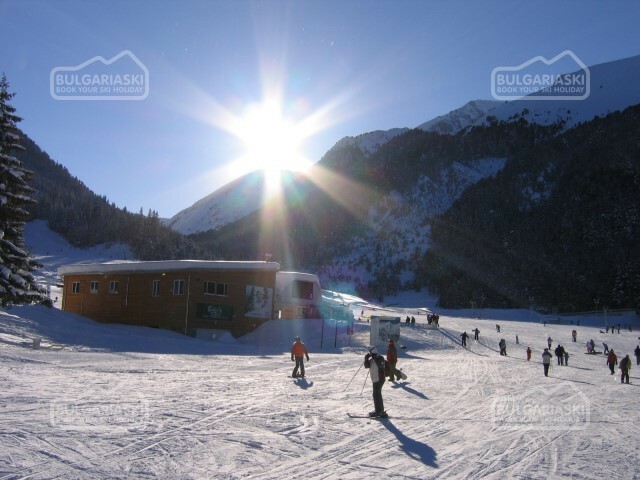 “Never in my wildest dreams did I imagine I’d see skiing like this in Bulgaria,” Borislav Kostourkov, a Bulgarian journalist and skier admitted on his first visit to Bansko, the country’s newest and best resort. Last winter, I joined Kostourkov and other members of the Ski Club of International Journalists, some 200 journalists from 32 countries, to ski the Bansko slopes in the Pirin mountain range. %LIMG4These are top skiers who have conquered the world’s big-name resorts — and all of them were most impressed. The run from the top of the resort, at 8,500 feet, to the bottom, at 3,000 feet, is about 10½ miles long with a vertical drop of 5,500 feet. When you reach the bottom, your legs are burning. “There’s nowhere in the States that you can do that,” said an Austrian journalist who once taught skiing in Michigan. 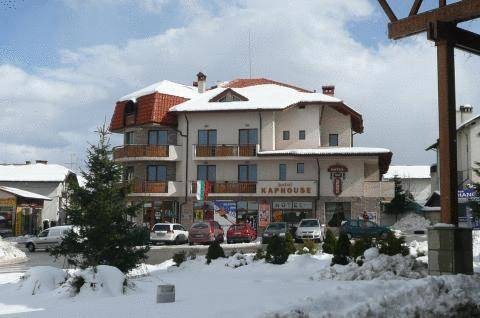 Bansko, three hours south of Sofia, is called “the most modern resort in Eastern Europe.” It has 40 miles of groomed slopes, off-piste adventures, the latest in lift system and snow-making technology, luxury hotels with spa facilities and a rocking night life — all at bargain prices. %LIMG3Some 23 million euros (about $29.5 million) have been spent to turn the area’s ski slopes into a modern mountain resort. New lifts. New runs. A snow park and half-pipe for snowboarders. A cross-country track. There’s even a shooting range for biathlon competitions. It’s not just the journalists who were bowled over by Bansko. I met two young Danes on the slopes who were lost and asking directions. “Last year we went to the Czech Republic. This is much better,” said one. His friend raved about the après-ski scene at the Happy End bar and disco. 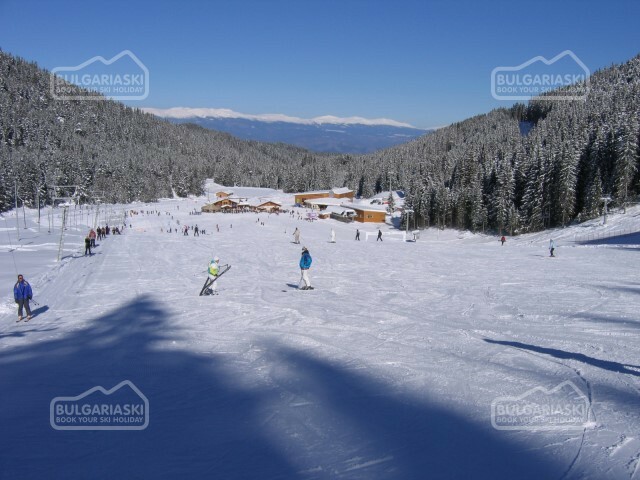 “It’s the best.” %LIMG2A British skier I talked to on the chairlift said it was his eighth time skiing in Bulgaria. He loves Bansko. “It’s cheap. My wife doesn’t ski, so she enjoys the spa facilities at the hotel,” he said. “The beer in town is only 1.50 leva (about 96 cents).” A skier from Moscow added that an all-inclusive week cost him just 350 euros. But not all is totally modern. 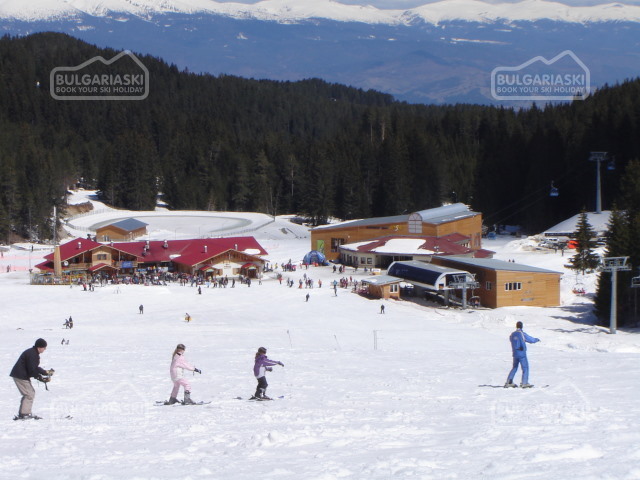 Charter flights carry skiers to Plovdiv, Bulgaria’s second largest city, about two to three hours from Bansko. Then it’s a bumpy bus trip over potholed roads through primitive-looking villages where it seems not much has changed since Bulgaria overthrew communism 17 years ago. %LIMG5In the city, new construction bumps up against rutted roads, shabby buildings and broken, muddy sidewalks. Change, however, is under way. 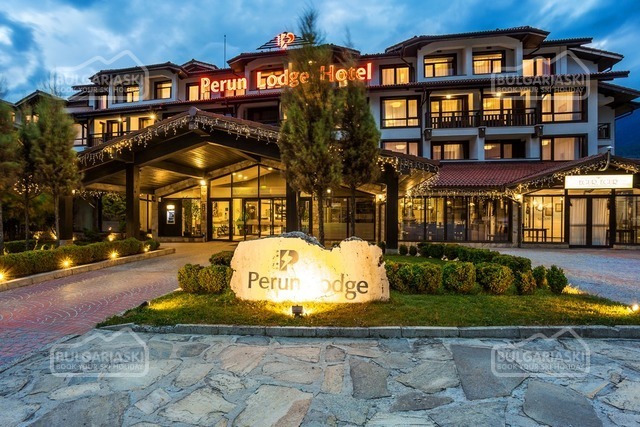 There are construction sites for apartment complexes and hotels, including the brand-new, five-star Kempinski hotel. Real estate offices abound, with signs in English promising “dream homes.” One agent spoke of “a boom in real estate purchases,” as foreign investors rush to take advantage of cheap apartments before Bulgaria joins the EU, scheduled for next year. More expansion and more lifts are planned for the ski slopes, and in town, money will be spent on improvements. %LIMG1The “downtown” is currently a collection of ski and souvenir shops with cozy, dimly lit taverns and restaurants. While it’s not unusual to see an entire lamb or pig roasting on a spit in front of an eatery, eastern Europe style, many après-ski hangouts, such as the Lion’s Pub, have names in English. There’s even a disco offering lap-dancing. On the slopes, the change is obvious. Eight-passenger gondolas soar from the edge of town — within walking distance of the hotels — to the resort hub where chairlifts take skiers to the upper slopes. Several journalists in our group left the groomed, packed runs to try the powder and the off-piste skiing. Races were part of the club’s program, including a cross-country competition on the area’s prepared tracks. There are long red and blue cruising runs, downhill trails through the pine forests and a challenging black run named after Italian ski legend Alberto Tomba, who came to the opening of the 2003 - 2004 season. The run originally was very steep, treacherous and often icy — and the site of many accidents. It has since been tamed, but expert skiers will still get their kicks skiing in Tomba’s tracks. 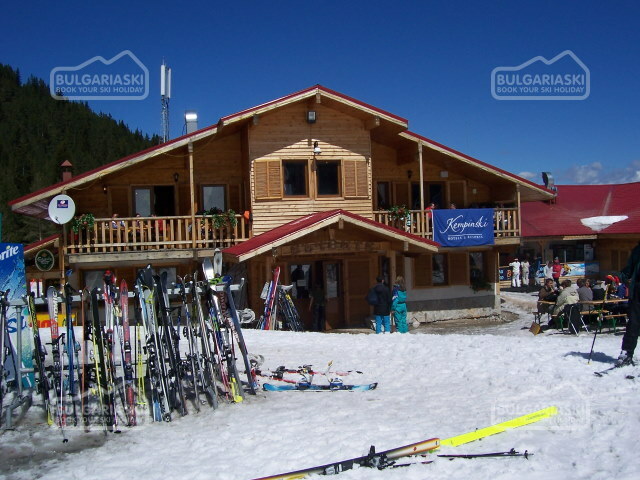 Please, post a comment on Bulgaria offers great skiing.